Mumbai, May 16 - Indian software services firm 3i Infotech Monday said it had signed an agreement to sell its US-based global billing and payments unit for $137 million to an affiliate of Cerberus Capital Management -- one of the world's leading private investment company. 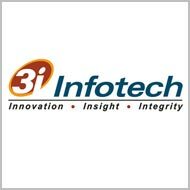 "3i Infotech Financial Software Inc, a step down subsidiary of 3i Infotech, signed an agreement to sell its US-based global billing and payments unit, consisting of Regulus Group and J&B Software," the Indian firm said in a regulatory statement. 3i Infotech Financial Software had acquired J&B Software in 2007 and Regulus Group in 2008. The deal is expected to be wrapped up within the next 60 days. "The divestment reduces the leverage and strengthens the balance sheet of 3i Infotech," said V. Srinivasan, managing director and global chief executive, 3i Infotech.